Ecuador is the first country in the world to recognize the rights of nature and implement Good Living (Buen Vivir – in Spanish) as an alternative to the traditional concept of development, - the search for a new balance between the human being, society and nature; a model where the best strategy to eradicate poverty is through the elimination of social, economic, environmental and cultural asymmetries, objectives clearly reflected in our National Plan of Development "Whole Life" that observes the Sustainable Development Goals as a set of minimum that our collective action must order. 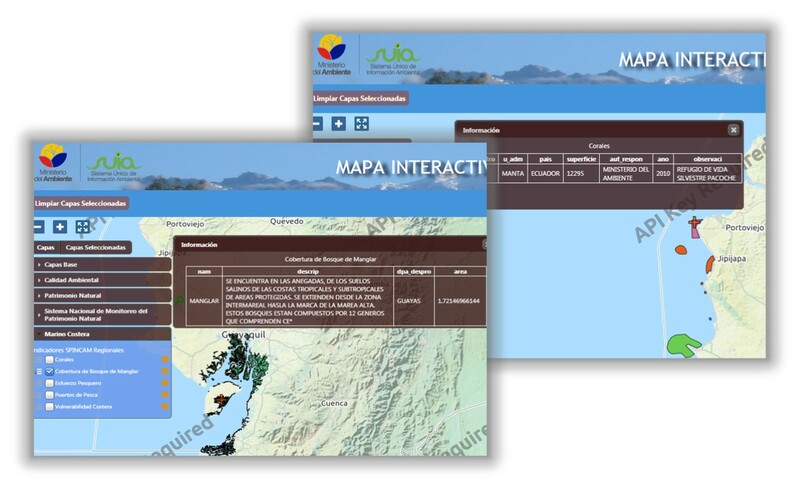 The efficient management of data has allowed the Ministry of the Environment (MAE - by its initials in Spanish), to provide reliable and timely environmental information to the user of any field or sector attending to any type of requirement, allowing to adopt and apply timely measures in decision-making. 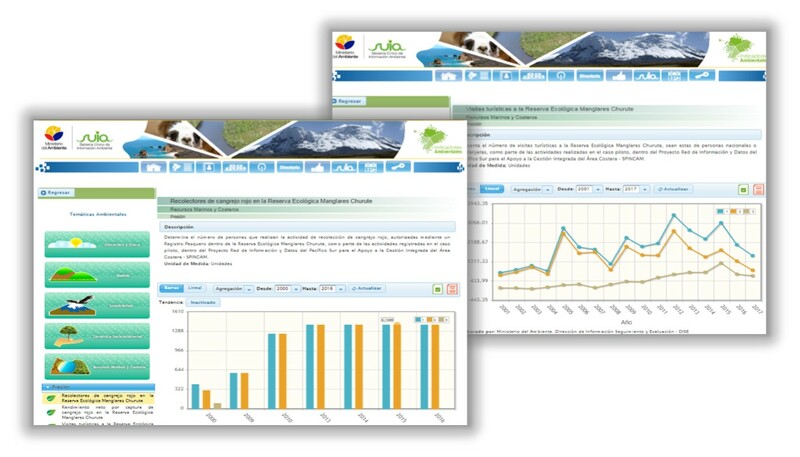 In this institutional framework, the Ministry of the Environment, the governing entity, coordinator and regulator of Environmental Management in Ecuador, has been working since 2010 on the project "Unique System of Environmental Information (SUIA - by its initials in Spanish)", as a management and dissemination tool of environmental information, which has allowed the country to know the state and the changes suffered by natural resources and the environment in general; covering different areas, ranging from research, education, statistics, consolidation, validation of geographic data, to the systematization of the institutional processes of the MAE. 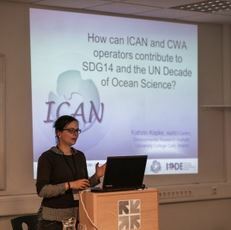 It should be noted that based on the available environmental information, within the statistical and geospatial scope, the MAE has built an updated information base, in which the statistics, environmental indicators, layers and maps of the strategic resources are displayed, which serve as tool for the evaluation and validation of the progress of the goals outlined in the environmental field and the relationships between it. Highlight that these processes of environmental information production, allow visualizing the contribution of the Ministry of the Environment to the fulfillment of the goals of the National Development Plan, the National Environmental Policy, Institutional Management and International Multilateral Agreements, contributing to global sustainable development. 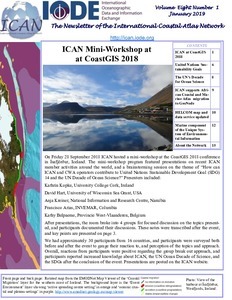 The country being an active member of the Project "Information and Data Network of the South Pacific for the Support of the Integrated Management of the Coastal Area - SPINCAM", through this State Portfolio, fulfills the commitment to visualize the information generated at the country level in the International Atlas of Marine Networks - ICAN, and under the premise of integrating environmental information in the SUIA platform, provides statistical and spatial information in the National System of Environmental and Sustainability Indicators - SINIAS, and Interactive Map Environmental. On the latter, it is a Geovisor through which users can access, view and, depending on the level of sensitivity of it, download information regarding the national environmental theme, which includes the coastal marine around the project. Finally, highlight that Ecuador through its environmental information processes seeks to strengthen the management it provides, promoting the cross-cutting use of the products and services generated through the generation of environmental and geographic data, guaranteeing the availability and integrity of it, through the implementation of new technologies; with the purpose of having statistical products that allow to measure the contribution not only of this state portfolio, but also of the Entities competent in the monitoring and conservation of the natural heritage, especially in the coastal zones, allowing the decision making towards compliance with the objectives that society wants to achieve, in search of sustainable development, good living and the rights of nature as established in our Constitution.